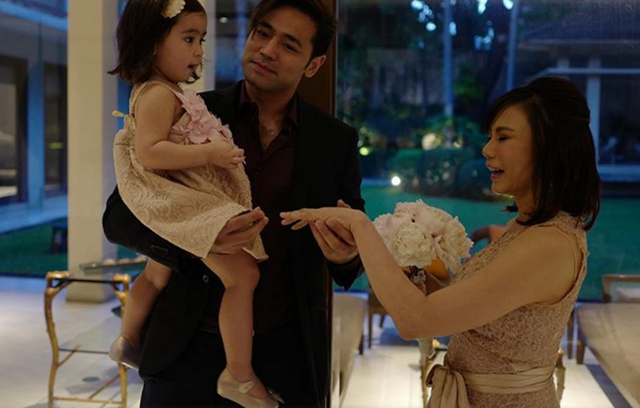 “Naniniwala na ako sa forever,” a netizen commented on the recent Instagram post of Dr. Vicki Belo sharing about her recent civil wedding with long-time partner Dr. Hayden Kho. The image shows the newlyweds, together with their daughter Scarlet Snow. Also joining them in the photo is Makati Mayor Abby Binay, whom she thanked for officiating their civil union. I was afraid that I would feel like I would lose my freedom by getting married . Instead I feel joyful and free. Thank you #mayorabbybinay for officiating our civil wedding . “I was afraid that I would feel like I would lose my freedom by getting married. Instead I feel joyful and free. Thank you #mayorabbybinay for officiating our civil wedding,” Dr. Vicki Belo’s post reads. Dr. Hayden Kho also posted about their wedding on his own Instagram page, citing a verse from the Bible. It ends with #OfficiallyOffTheMarket. Many others congratulated the couple, expressing how happy they were for them and for sticking to each other despite everything they have gone through. Sure, they have been an inspiration for other couples who might have gone through some rough times but choose to stay together, anyway.